Date: Saturday, 22nd January 1938. Competition: FA Cup 4th Round. Scorers: Charlton Athletic Tadman (2). Leeds United: Hodgson. 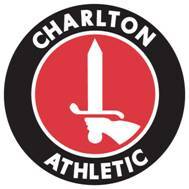 Charlton Athletic: Bartram; Turner, James Oakes; Green, John Oakes, Welsh; Tadman, Robinson, Owens, Boulter, Hobbis. Leeds United: Savage; Sproston, J. Milburn; Makinson, Kane, Mills; Armes, Ainsley, Hodgson, Stephenson, Buckley. Referee: Mr S. Boardman (Cheshire). United had defeated Third Division (North) side Chester City 3-1, with goals from Armes, Buckley and Ainsley in their Third Round tie at Elland Road and their reward was a trip to the Valley to take on Charlton Athletic. United had only won one away game in the season to date, and they only managed another away victory in the rest of the season. Charlton, like United were strong at home and eventually finished in fourth position, with United in ninth spot, but only three points worse off. 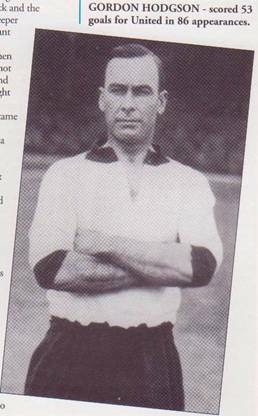 United had several fine players in their team with full-back Bert Sproston and inside-left Eric Stephenson both England prospects and then there was the prolific Gordon Hodgson, who was a constant threat to opposing defences. 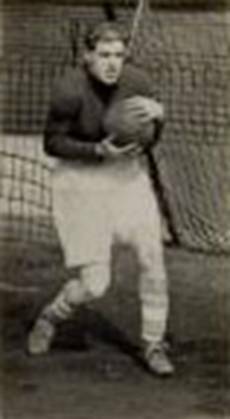 South African Hodgson was thirty-four when he joined United from Aston Villa, but he had previously spent over ten years with Liverpool, where he had scored 233 goals in 258 appearances. A truly remarkable strike rate, and not surprisingly it was he who scored United’s goal. Hodgson was to go on and set the United scoring record of five goals in one game against Leicester City later in that year Hodgson was also a fast bowler with Lancashire and went on to score 53 goals in 86 appearances for United. The FA Cup had never been a source of success and they always fell at the early rounds and it was not until 1949-50 that they managed to progress past the fifth round. And 1938 was to be no exception. Charlton went on to reach two consecutive finals immediately after the Second World War losing the famous “ball bursting match to 4-1 to Derby County after extra-time in 1946 but then returned to beat Burnley 1-0, again after extra-time, the following year. Co-incidentally they were the last Cup-Finals to go to extra-time until United’s first Cup Final with Liverpool in 1965. On this occasion United were desperately unlucky not to come away from The Valley with at least a draw. United were rocked with two goals in the first four minutes as Charlton hit the ground running. Many teams would have thrown in the towel after such a shocking start but Leeds roared back and almost pulled the tie out of the fire after such a dramatic opening. The all-First Division tie attracted a huge crowd to the Valley. The second-half was broadcast by BBC Radio and arrangements were also made for British Movietone News to film the match. 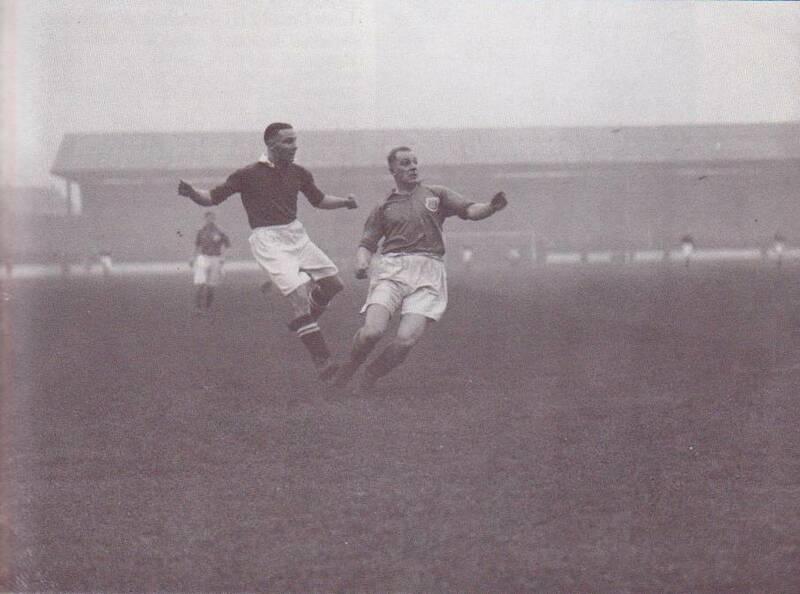 The cameramen would have had to be on their toes to catch the Charlton inside-right George Tadman early on. Less than three minutes had gone when Bert Turner, George Robinson and Tommy Owens tore United open and Tadman raced on to clip his shot over the advancing Reg Savage. Two minutes later and Tadman worked his way past Fred Mills on the right and cracked a rising shot past Savage. United were stung into retaliatory action and threw everything at the Londoners. 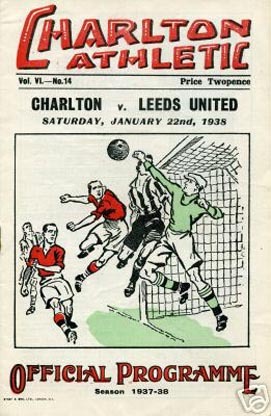 Only bad luck and the brilliance of Charlton’s goalkeeper Sam Bartram kept the rampant Leeds at bay. 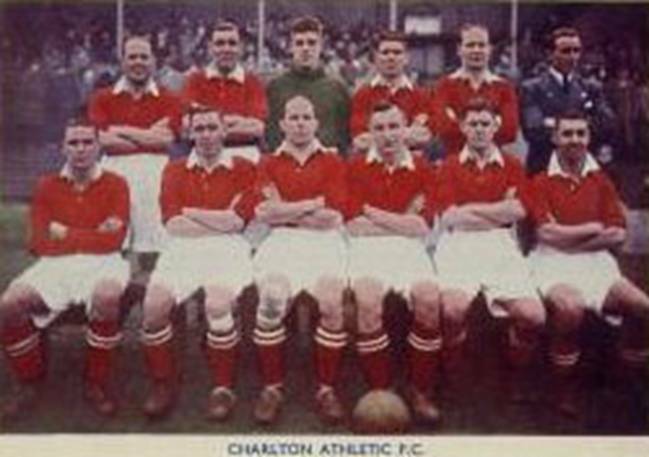 Charlton survived when Eric Stephenson’s cross-shot smacked against a post and the grateful Bartram caught the rebound. The woodwork also came to Charlton’s aid when Sammy Armes, who was enjoying a great game on the right-wing, worked an opening for James Makinson, who hit the bar. Gordon Hodgson and George Ainsley also went close as United fought tirelessly to get back into the game. Their bravery was rewarded with fifteen minutes left when Hodgson exchanged passes with Armes and the veteran centre-forward finally got the ball past Bartram. That set up a great finale and in the final minute the crowd held its breath as Armes broke through and beat Bartram only for the ball to crash against a post and come out. It was tough on Leeds as they had been the better side in a rivetting contest but had still lost. United, then managed by Billy Hampson, had been well placed in the First Division before the tie, won only twice in their next fourteen matches and fell away badly to finish ninth, only nine points adrift of champions Arsenal. The league was so close that season that only sixteen points separated champions Arsenal and bottom club West Bromwich Albion and only ten points from fourth placed Charlton to the bottom club. Jack Milburn, Bobby Browne, Tom Holley. Front: Sammy Armes, George Ainsley, Gordon Hodgson, Eric Stephenson, Arthur Buckley. 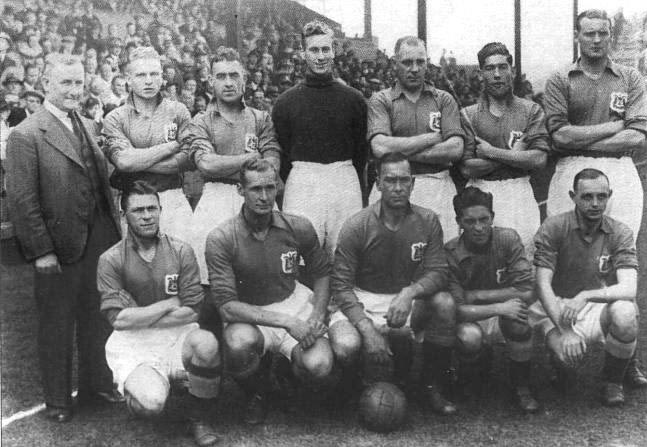 Charlton Players: Bert Turner, George Tadman, George Robinson, Leslie Boulter, Harold Hobbis and Goalkeeper Sam Bartram. 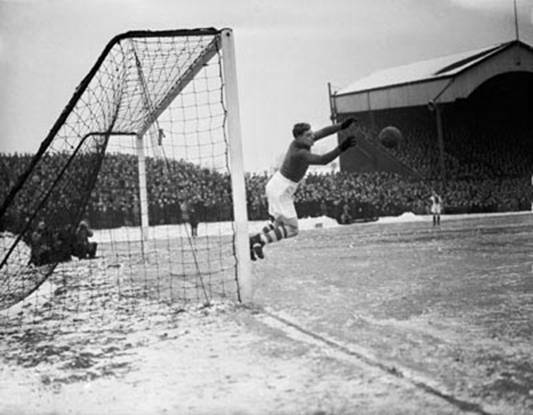 Charlton Athletic Captain Don Welsh with Sam Bartram at a snow-covered Valley in 1938. 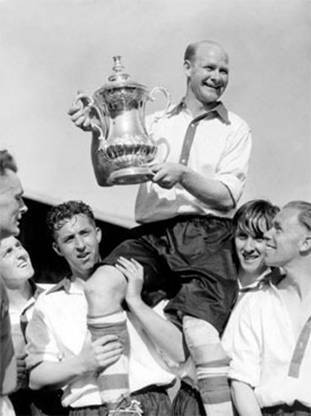 FA Cup won in 1947.